Latest album Club Meds sees Juno-winner Dan Mangan make a seamless transition from solo artist to frontman, and from folk singer to politicised alt-rocker. Here he explains how fatherhood, Occupy and the novels of Margaret Atwood all inspired his new direction. It’s been three years since your last LP, Oh Fortune. What have you been up to in the interim? A lot of stuff. I worked on [the soundtrack for] a Simon Pegg film [‘Hector And The Search For Happiness’], which was quite a vast project in the end, and I took some time away from work and had kids. We had been doing this intensely for a long time and it came to a point everyone needed to take a breath before coming back to make this record. You’ve been playing live with Blacksmith for some years, so why make it formal now? It gradually became clear that it was becoming an ensemble, not just a songwriter surrounded by some session guys. I’ve been with Kenton and Johnny – the rhythm section – for about seven years, and everybody else is in the five-year range, so it just got increasingly weird to only see my name on the ticket and just my photo in the magazine. It felt like it wasn’t truly giving credence to what was going on. 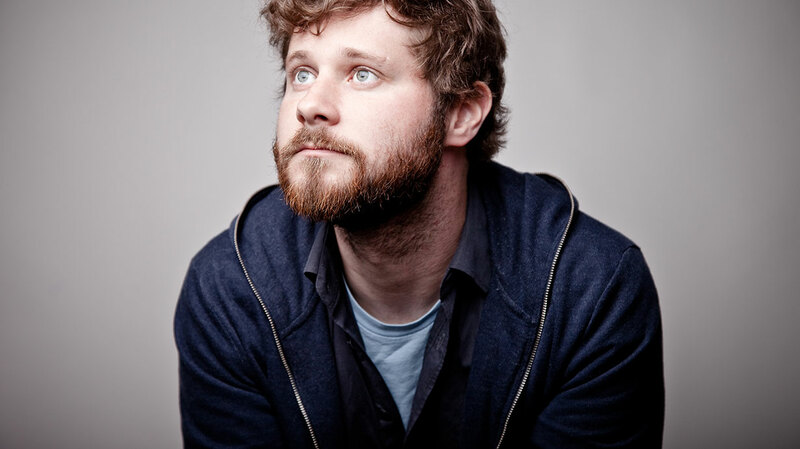 It’s hard to turn a big boat right round, and because we were so far down this path with “Dan Mangan” being the name, we kept taking all these great offers to tour, continually running off the momentum of whatever we had just done. I think having space and time away gave us the option of pivoting what the band was. There's this disconnect between the privileged and non-privileged, making it so hard for either side to really understand the struggle of the other. How did that impact upon the creative process for Club Meds? Was it completely collaborative? Much more so than before. The lyrics and the melodies were still kind-of mine but, when it came to how the songs should feel, how they moved and the structure of them, the guys were totally crucial. So the creative process of laying down the base for this record was truly collaborative; we were song-crafting as a group. I think everybody felt free to voice their opinion too; there more of an open door policy of saying whatever you wanted, so that everybody could feel safe in the creative process, and take ownership of the record. It must be quite difficult to relinquish that control, having had the final word for your whole career? Yeah, I mean, there were times when I had to take a big deep breath, because I’m used to getting my final say. And I think to some degree I did have some sort-of veto power, not that I really needed to use it because, luckily, I play with some really amazing musicians and there are years of trust in the relationship. There were definitely some really heated discussions, and some tense moments in the studio, but the record is better for it. We pushed each other to try and get the best thing, and not settle for something that was almost there. Club Meds is a lot more expansive and textured than your previous albums. What was the goal, sonically? From working on some other projects, I’d gotten really comfortable with new ways of approaching sound, and creating sonic textures using synths, midis and drum machines, whereas previously I was very much an acoustic guitar guy. I do think my songwriting has changed overtime, but also it’s the fact I’m now able to produce; there was a time when I wouldn’t have known how to find some of the sounds on this record. Lyrically and musically, I think [Club Meds] is a push and pull of juxtaposing forces. We’re not a band that uses click tracks, so the songs ebb and flow, speed up and slow down. They’re imperfect and, for that reason, they’re very human. But, from the other side, [the album’s] layered with all these different textures of sourced, synthetic, electronic sound. Our rule was that the synthetic sounds could never trump that humanness, and I think that is an analogy for the record, and the philosophy behind it, in general. As people, we sometimes go to this very robotic place of just doing whatever is necessary but, equally, at times we feel very connected and human, and have these moments of epiphany. We’re constantly wandering between those two poles. So I really wanted to reflect that in the album, making sure that it still communicated those emotional, guttural responses, no matter what sounds we were using to create these layers of texture. And that musical honesty ties into the themes of the album; Club Meds is about the way we either sedate or delude or distract ourselves from the truth, right? Absolutely, yeah. In a philosophical sense, it is about that personal honesty of having asked yourself difficult questions – even though you may have been afraid of what the answers were – and the acceptance of living in your skin. You can travel away to some isolated paradise but you can never escape yourself, so if you’re not at peace with yourself you are never going to be at peace. The funny thing is, the second we stop worrying and just accept exactly what we are, we become much more magnetic. It’s like letting go of trying to be something brilliant allows you to be more brilliant than you ever could have hoped. Why tackle those themes now? It’s interesting. Early in my career, I think I looked at the world of music in a fantastical way; I just wanted a seat at the table, to be like the bands I adore. While we’re not that well known outside of Canada, at home the last six years have been incredible for us. All of a sudden we have an audience, so we know that when we put out a record people will hear it and that, hopefully, we’re going to have a body of a work that will span decades. It is a remarkably lucky position to be in, so we had to work out what the f*ck we wanted to do with that platform. I also think having a kid changed things, in the sense that it makes you a little softer, but it also raises the stakes. I want to be sure that I always push myself to take risks, and to write about what feels honest and meaningful to me. For a long time, I relied on charm or something cute in my music as an ace up my sleeve. I’m still a very friendly person, and I will continue to be a nice guy but in my career, I don’t feel cute any more. So I think that there’s just been a tonal change. Club Meds feels more political than your previous albums too. We understand that ‘XVI’ addresses Occupy? Sort of, yeah. Even though there was this huge groundswell of support for that movement, I just felt like it wasn’t quite going to do what it wanted to. I had this image in my head of the French storming Versailles, and Louis and Marie Antoinette being inside, just chilling, oblivious. They don’t maliciously make the people of France hungry; all they’ve ever known is that they are entitled to whatever the f*ck they want. And I saw that as being very analogous to being a banker on the top floor of a massive conglomerate bank on Wall Street. They just inhabit a different universe from all the people that their decisions affect. During Occupy, it just felt like there was this disconnect between the privileged and non-privileged, making it so hard for either side to really understand the struggle of the other. Until there is that sense of communal empathy or understanding, it’s really hard to just reach out. And even though my heart is very much with the 99%, that’s still playing the “Us vs. Them” game, where you can separate other people from yourself, and turn them into monsters in your head. There’s real anger in ‘Mouthpiece’ too, with its dystopian imagery of book burning and brainwashing. What was the inspiration for that song? I’d read a bunch of Margaret Atwood around 2012 – ‘The Handmaid’s Tale’, ‘Oryx and Crake’ and some short stories – and she has this incredible way of describing dystopian, futuristic scenarios. It lit a fire in me, thinking about the sedated, wilfully-blind place that all of us are capable of going to. When I read books, it forces me to think outside of the parameters of my daily life, and I feel really alive, like there’s lightning in my blood. And I just remember thinking, “Man, if there was some sort of New World Revolution, all the books I would want to read would be the books that were burned first.” So the line, “I want to breathe in all the ashes of the books they try to burn”, refers to the fact that if you really read and understand a book, it’s in your flesh, and the ideas cannot be killed. What was the trigger for that lyric? It’s the idea of being surrounded by people who all seem to be buying into one thing. The easy option is to go with it, but if you get deep into acting like you’re into something, you eventually end up investing a core of your purpose in it. Once you start putting anything on a pedestal – be that patriotism, religion, family, politics – saying, “Don’t poke at that, because it’s special,” it’s a slippery slope. As soon as you refuse to see the scaffolding behind something that, maybe, isn’t as perfect and pure as you like to think it is, that is choosing to be wilfully blind. And that’s a very scary thing, because when people choose to be wilfully blind, then that’s when they’re no longer in control of themselves or what is going on around them. And it’s amazing how quickly we can all turn into sheep. And yet the album does almost end on a message of hope, with ‘New Skies’? Yeah, in a gloomy sort of way. (Laughs) It’s funny, I didn’t want to finish the album with an answer or a reassurance that it’s all going to be fine. After that song was done, I realised I had taken some inspiration from Lou Reed’s ‘Perfect Day’, in terms of it having these beautiful lyrics describing these joyful things, and yet the music is so sad.